When serious accidents occur, injury victims throughout San Diego can rely on the legal team at the Olsen Law Offices. We have handled numerous lawsuits and legal claims involving auto accidents, helping clients achieve successful resolutions. Rollover auto accidents are among the most serious kinds of collisions that can occur. Let's discuss them in a bit more detail right now. What Is a Rollover Auto Accident? A rollover auto accident is a type of auto accident in which a vehicle tips over onto its side and potentially onto its roof. This is one of the most deadly kinds of auto collisions given the amount of trauma that can be sustained as a vehicle rolls over. Only about 3 percent of all auto accidents result in rollovers, but roughly 33 percent of auto accident fatalities involve rollover accidents. The most common cause of a rollover auto accident has to do with the higher center of gravity on different kinds of vehicles. When a vehicle with a higher center of gravity is tipped in any way, the chances of that vehicle rolling over increase a great deal. A vehicle doesn't have to be struck in order for a rollover to occur. While sideswipe and t-bone auto accidents do increase the risk of a rollover occurring, rollovers may happen in single-vehicle accidents. 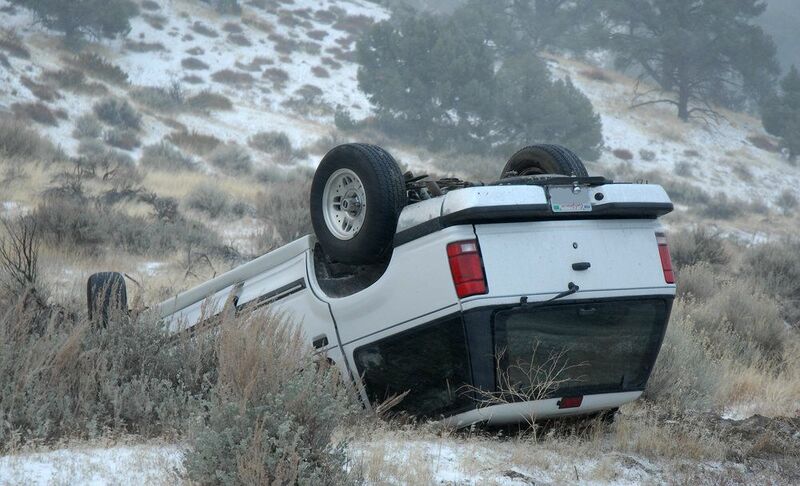 In such instances, the rollover is often the result of sudden overcorrection in steering, wet roads, strong winds, poor tire traction, and uneven road surfaces. SUVs are particularly notorious for their ability to rollover given the prevalence of so many of these kinds of automobiles on the road. One of the main reasons why rollover accidents are so deadly is the potential for a roof crush. This means that the roof of the vehicle caves-in on the driver and passengers, which can lead to severe head and brain trauma. If a vehicle rolls over so violently that it lands on its roof, there is a high chance that it will cause a fatality. When a negligent motorist causes an accident to occur, an attorney will fight for you to ensure that the negligent party is held accountable. Similarly, auto makers have a duty to make their vehicles and their vehicle parts as safe as possible, adhering to national safety guidelines. A failure to create a vehicle that adheres to these standards may be grounds for a lawsuit. Whether it's an individual who caused your accident or a major company that failed to make their vehicle as safe as possible, our attorneys will fight for you and help you receive just compensation. For more information about your legal rights after a major auto accident, it's important that you contact our personal injury law firm today. The legal team at the Olsen Law Offices will work with you to ensure that you receive strong legal counsel and representation.